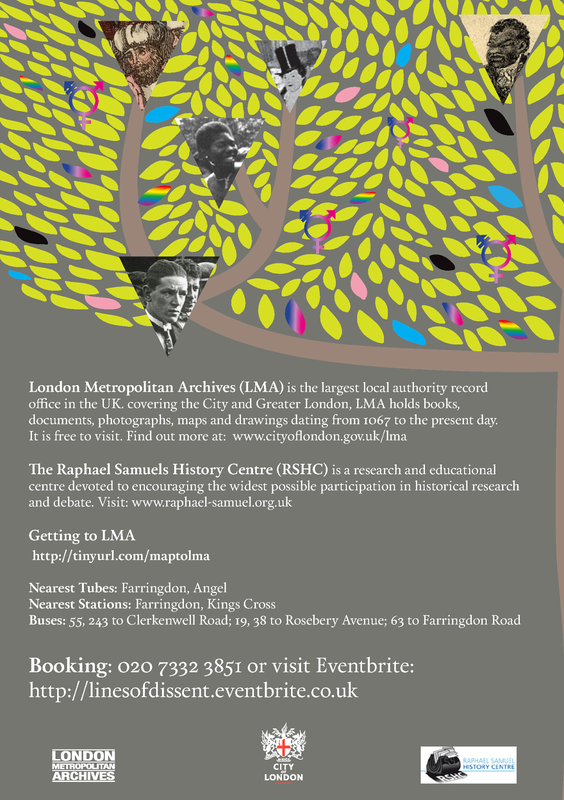 Yesterday was London Metropolitan Archives’ 12th annual LGBTQ History and Archives conference. 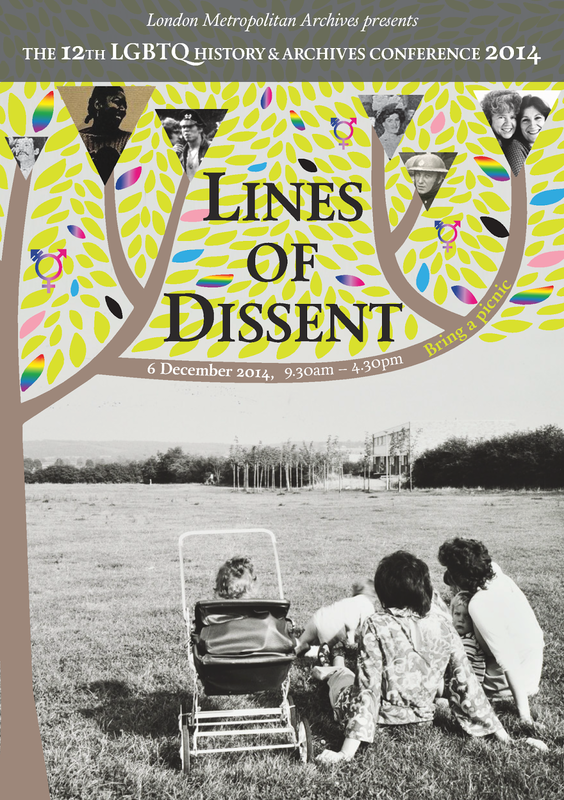 The day was co-curated by the Raphael Samuel History Centre and the theme was ‘Lines of Dissent’ and was focusing on queer genealogy. 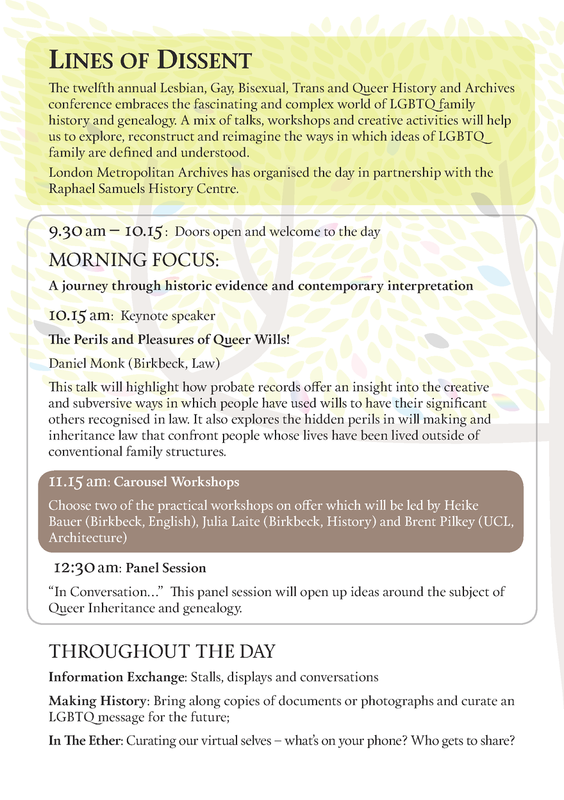 The key note from Daniel Monk, Birkbeck was ‘The perils and pleasures of queer wills’ and after that was a series of carousel workshops in which delegates got to play archive detective by looking at primary source documents and trying to gather what the material might say about the person, or people to whom they belonged. 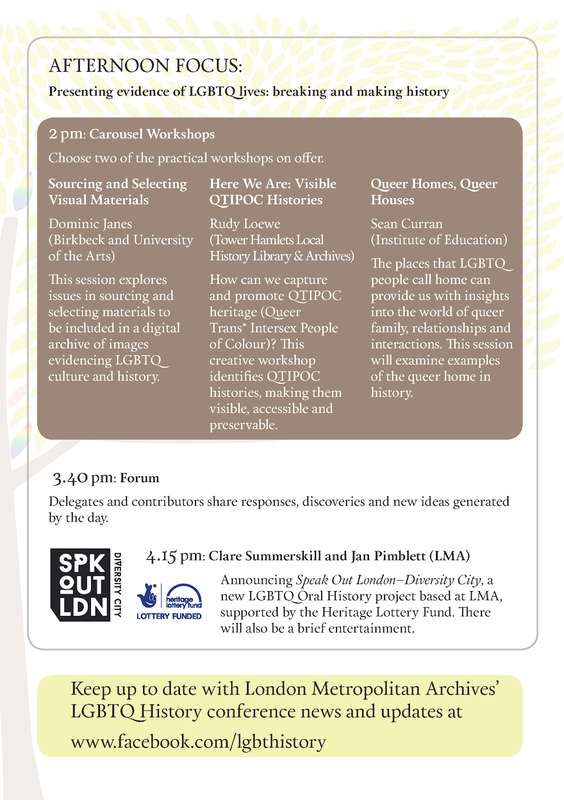 ‘Queer homes, queer houses’ : a workshop at the LMA LGBTQ History and Archives conference from Sean Curran on Vimeo. Another highlight of the day for me was when Surat Shaan Knan of Rainbow Jews told us his personal story and wonderful news, and announced the successful funding bid for Twilight People, a project about trans* people of faith, which I am delighted to announce I will be co-curating. I can’t wait for us to work together, and I am sure this really important project will be a huge success! Thanks again to Jan, to Gavin Baldwin, Matt Cook, Justin Bengry, Faridha Karim, Surat, and to everyone else who organised and contributed to make it such an inspiring day. Also, big thanks to Claire Hayward who ensured there was a lively twitter presence throughout the day, and who has storified the tweets here. Just wanted to share a fundraising initiative from a really great project. I’ve mentioned the Rainbow Jews project before, but for those of you who are not familiar, this project is pioneering, in that it records and showcases Jewish lesbian, gay, bisexual and transgender (LGBT) history from the 1950s to today. For the first time ever in British history, it captures the voices and experiences of Jewish LGBT people in the UK through oral histories and archive creation. 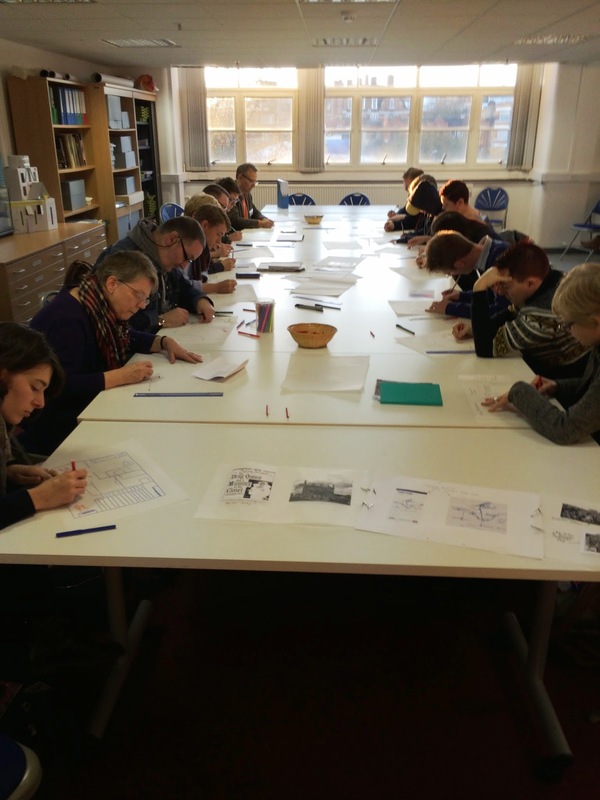 Like so many great queer heritage initiatives, it is volunteer-led, and the financial support from the Lottery Heritage Fund grant has now finished. Led by Surat Knan, the Rainbow Jews have done great things, they have launched an exhibition which is now set to travel the country, they have collected oral histories from a much overlooked community that otherwise would have been lost, and they have, with the support of the London Metropolitan Archives, began to gather material for an archive collection. getting this wonderful exhibition around the country to further share these amazing stories and experiences, (already confirmed Leicester, Birmingham and Liverpool/Homotopia as from 31 August 2014; with more possibilities e.g. Belfast). creating over 5 events such as launch receptions, film screenings and talks while touring. disseminating education resources, and co-facilitating sessions at school, youth groups etc. recording and processing of over 10 new oral histories, especially of Jewish LGBT pioneers in remoter UK regions. The page to donate (and to find out more about the fundraising project) is here. 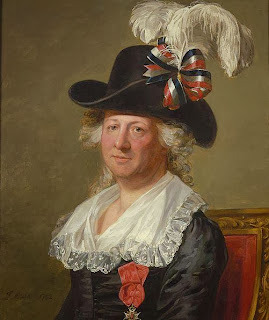 Let’s all ensure that this great heritage project doesn’t join the long line of brilliant grassroots queer initiatives that have faded away due to a lack of funding. 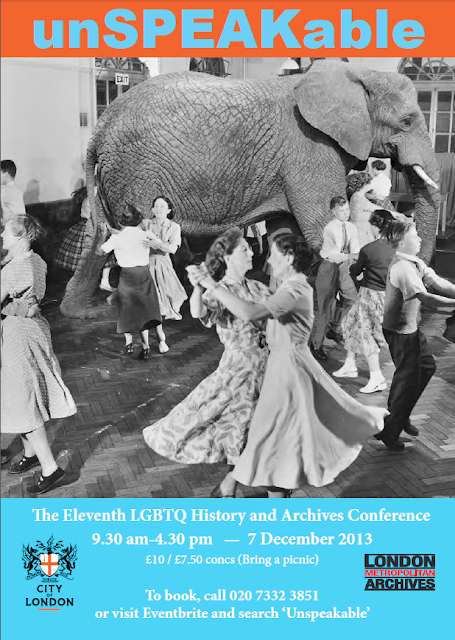 The 11th LGBTQ History and Archives conference at the London Metropolitan Archives is taking place on Saturday 7th December, and promises to be a great follow up to the tenth anniversary spectacular that took place at the Guildhall in February. The theme this year is about addressing the silences in LGBTQ history and the underrepresentation of certain communities, and how a more inclusive approach can help to shatter the barriers. For more information, visit the facebook page here. You can book at the Eventbrite page here.